With more than thirty years experience of designing & hand making amazing precious jewellery, Peter has extensive knowledge of all aspects of the jewellery trade. Using skills developed over three decades, Peter creates unique pieces of jewellery, individually designed with both modern and traditional influences. Peter Farrow Jewellery is now one of the finest jewellers in the south east of England. His showroom and workshop can be found in the picturesque market town of Rye, in East Sussex. Peters policy is never to compromise; that a piece of jewellery is not finished until the craftsman is proud to have made it. With every piece of jewellery being handmade – it is unique. The advantage of visiting and commissioning Peter Farrow is quite simple revered for exacting craftsmanship, using meticulously sourced diamonds, gemstones and precious metals. 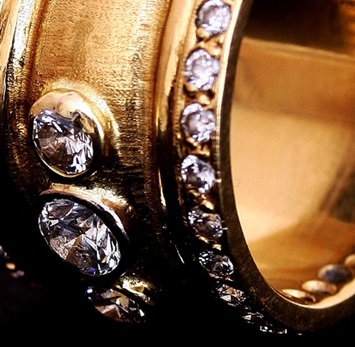 Designing and making diamond rings, wedding rings, seal engraved signet rings or a special piece of jewellery is only part of Peter’s business. 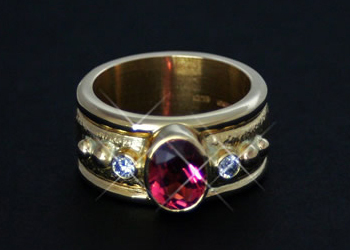 He also specialises in taking old or unwanted jewellery, redesigning it and handmaking beautiful new pieces.